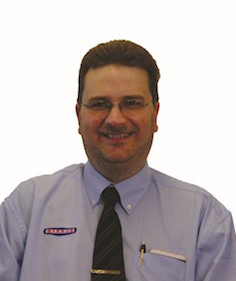 E P Barrus has appointed Phil Noble as field sales & technical manager for the garden division. After 19 years’ service with Barrus, Phil will be stepping up from his position as area sales manager to head up one of the most respected sales teams in the industry. Phil has a long track record in the garden machinery sector gaining extensive experience working in both technical and sales positions for a number of garden machinery companies and dealerships. Working alongside his predecessor at Barrus, Martin Wasley, who will retire at the end of September, Phil has been a committed and proactive member of the team and helped to build and shape the divisions business. The Garden Division has developed a strong portfolio of products with some of the highest profile brands in the trade including Cub Cadet, Lawnflite and Agri-Fab.